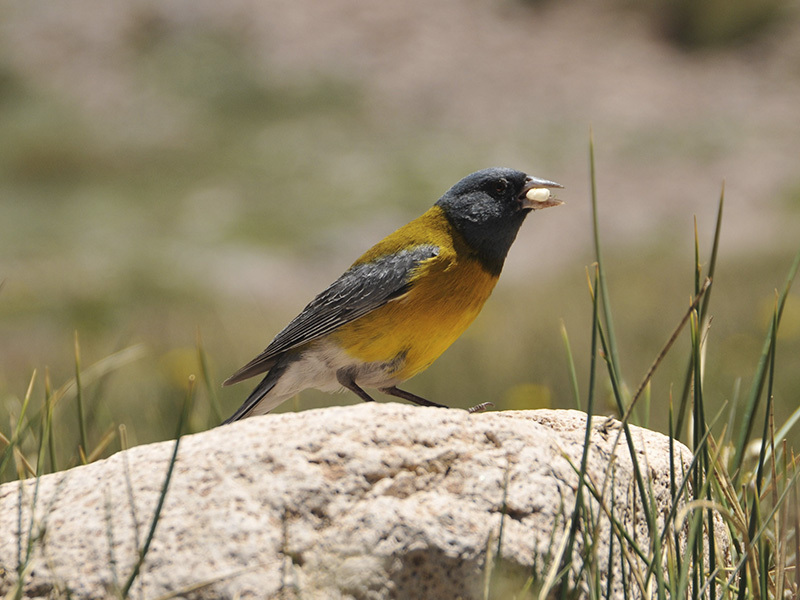 The reserve is in the phytogeographic High Andean province. Because it is an ecosystem of extreme elevation and low precepitations, turning the weather rigurous, the biodiversity is low. 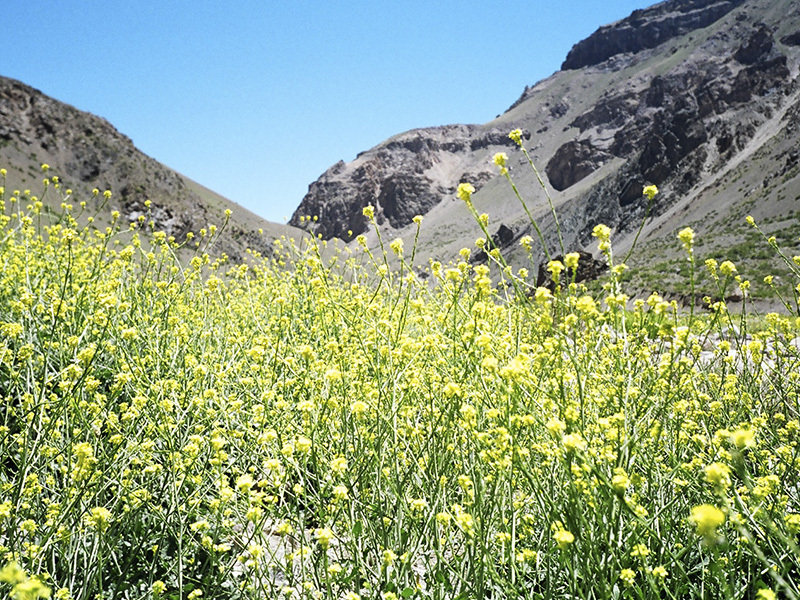 However, the animal and plant species are interesting, showing a remarkable adaptation to high altitude life and concentrating themselves towards the lower areas of the park. The predominante vegetation are open pastures of huecú and coirones with limited areas of low trees, such as yellow leña, yareta and goat horn. In general, the vegetation adapts to endure low temperatures, poor soils and snow and wind storms, almost disappearing over 4000 m All this is what gives it its stocky look. There are flatter areas where water accumulates and you see other kinds of vegetation, that endures long periods of soil freezing. The typical animal species are the condor, the eagle, mountain mice and the red fox, there is a frog species that stands out and a lizard, both of them typical mountain species. 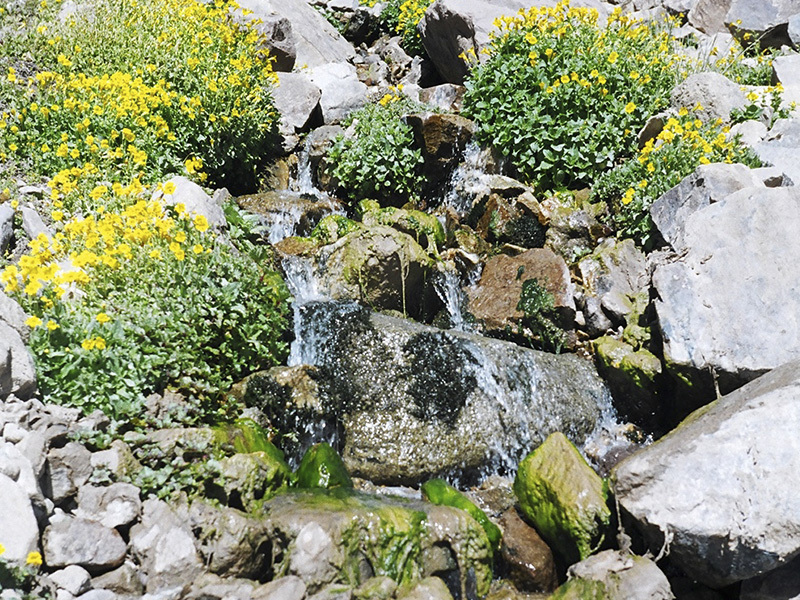 The flat lands and the streams are visited by special bird species, such as chorlos, churrines and torrente ducks. There are large herds of llamas, followed by pumas, the main predator. The european hares are abundant, an exotic animal in the region. As an adaptation to cold weather, the animal species are, in general, big, avoiding the loss of their body heat. The mammals posess soft and thick fur, that keeps them warm. 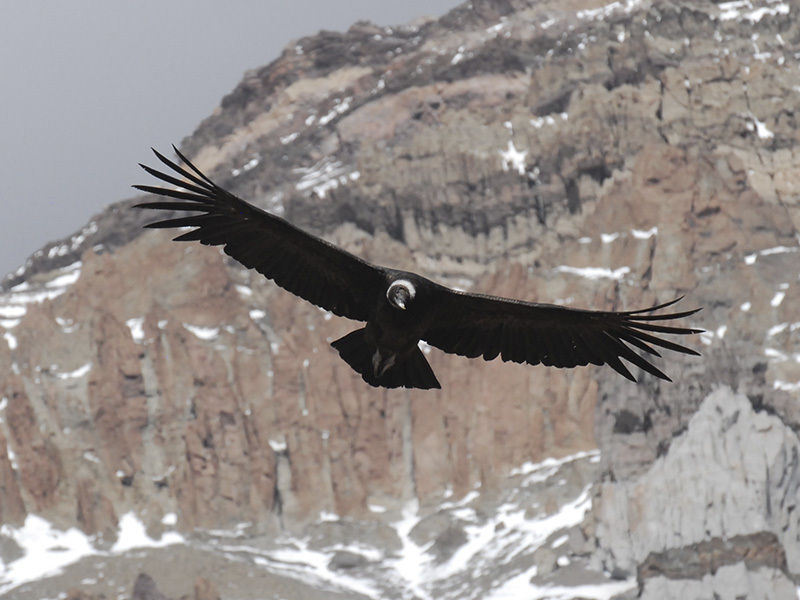 Other species, such as the guanacos (llamas), pumas or foxes have the capacity to emigrate to the lower regions when the weather is too cold, this is the case of the condor and the eagle. The mountain mice can not move very far, so they take refuge in their caverns during the winter.